owls about that then! : Rain stops play! I have managed to do a bit of "owling"during the last couple of evenings, just for a couple of hours at a time though, because sadly the availability of "good light" is now being squeezed at both ends. Firstly I'm having some later starts because I'm back to work, therefore I'm setting off later than of late then to compound issues the evenings are starting to draw in. So the window of opportunity is definitely a premium which is then being further compromised with the spoiling summer thunder storms! 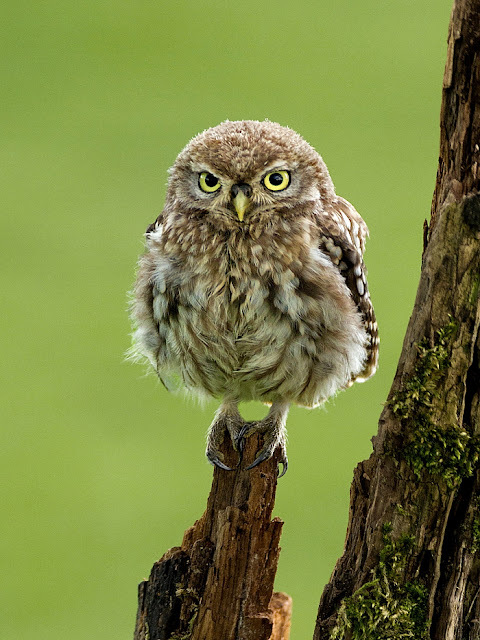 On Monday evening the light levels were just fab, and to complement matters a couple of Little Owls showed well at my site No 53. Within minutes of arriving an adult and juvenile were located, they weren't in the best position as far as the sun direction goes (from the side) but within minutes a few images were bagged, it was already a rewarding visit. But you know how it is, everything was almost too perfect, I was expectant that something was just around the corner ready to spoil everything, and then sods law kicks in! The skies started to darken and became heavy with slate grey clouds, quickly followed by an upturn in the wind and then crashing rain shortly followed. Needless to say the owls fled for cover! 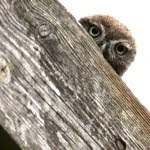 The adult owl headed for the eves in the barn, (below), and there it stayed for the rest of my visit. The juvenile used a seclude location in a willow tree for protection, it too stayed put from then on. 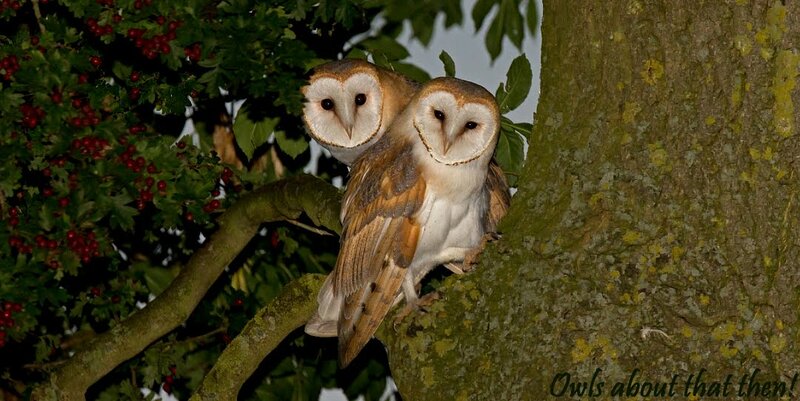 Needless to say the storm put a premature end to things, it was dark, damp and windy and the owls weren't playing out in that! Last night (Tuesday) I was out even later that I would have liked, there was no time to "stake out" one of my "neglected" sites so as time was very limited there was only really one place for me to go....my site No 87. I'd definitely been suffering withdrawal symptoms as I hadn't been here for over a week! Would the juveniles still be there? If they were would they still be OK with the close presence of my Landrover? I needn't have worried, they were still there and were totally cool with the Landie. I suppose we all look at images in a different way and what is pleasing to the eye for one is not necessary for the next person. I particularly like partially lit subjects with dark backgrounds, and this next image really "floats my boat". 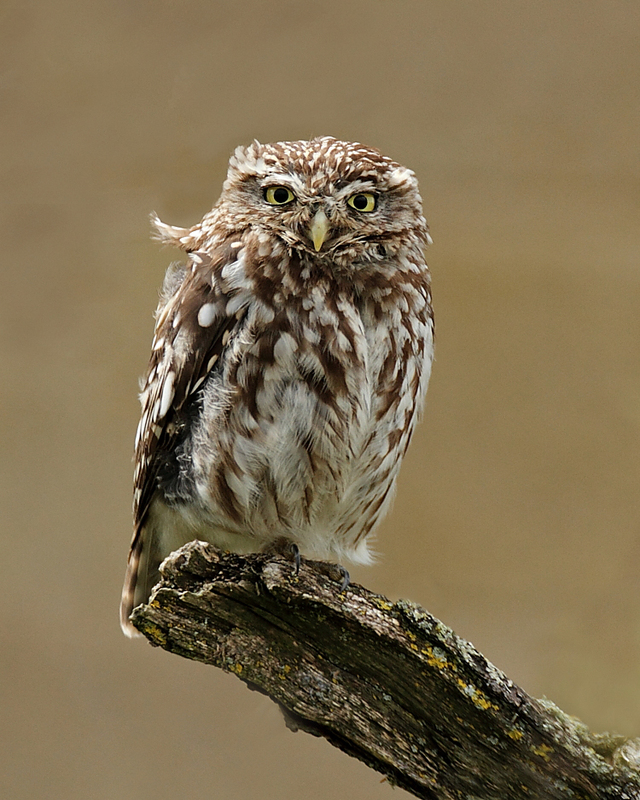 It is absolutely my favourite Little Owl image from the last couple of weeks. 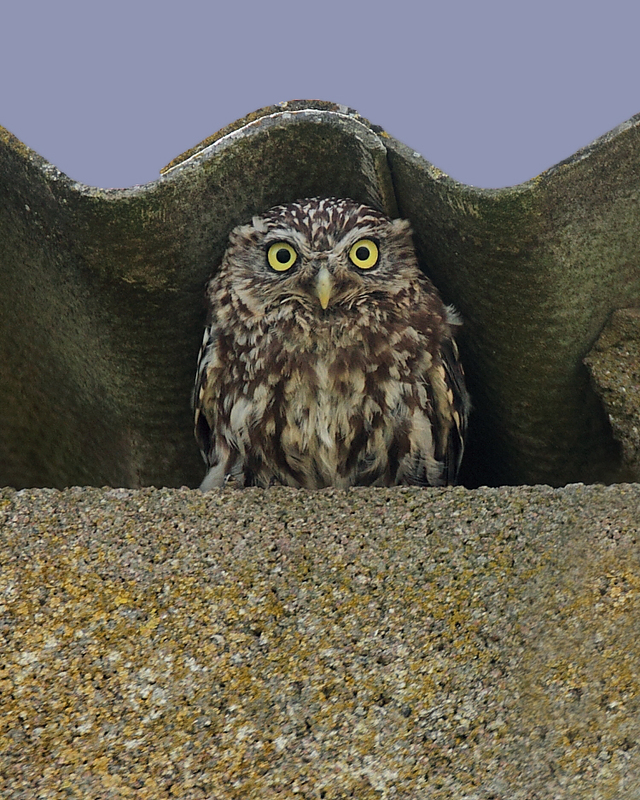 The owls at site No 87 really put on a show, I think they had missed me? But it only lasted for an hour because yes you have guessed it, the rain came again! Another brilliant set of images Paul, but the first and last are outstanding in my eyes, with the sixth being not far behind! Yeah, the dark backgrounds bring out the subject very nicely indeed. each image is an absolute eyecatcher ..